Duchess Manor is a low rise condominium located at Duchess Road, a prime residential area in Singapore. 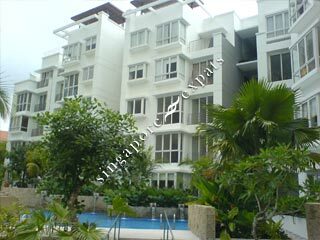 Consisting of only 52 apartments, it is an exclusive low density condominium. Duchess Manor is set among the quiet and tranquil residential estate of Bukit Timah. Duchess Manor is within short walking distance to Serene Centre, King's Arcade and Coronation Plaza where amenities like bank, supermarket, shops, eating places, cafes can be found. Duchess Manor is easily accessible by the Pan Island Expressway (PIE) which leads to all parts of Singapore. Public transport is easilyy accesible from from Bukit Timah Road. I love the resort feel of this condo. The location is superb with many amenities within short walking distance. Transport is very convenient via MRT, bus or car. The regular layout of the condo is a bonus! Duchess Manor is a low rise condominium located at 20 Duchess Road Singapore 268988 in District 10 near Farrer Road MRT Station. This low density condominium, comprises a total of 52 units. Nestled in the quiet and tranquil residential area of Bukit Timah, Duchess Manor promises a serene yet fulfilling life. Make the best out of your life with features such as swimming pool, Jacuzzi, trellis, clubhouse, barbeque areas, gymnasium, playground, and sauna. Amenities such as banks, supermarkets, food outlets, hair salons, retail shops are available at the closely situated Coronation Plaza, Coronation Shopping Plaza, and Holland Village. Duchess Manor is easily accessible via the Pan Island Expressway (PIE) which leads to all parts of the island. Public Transport is readily available from Bukit Timah Road.